One big left hand. Simon Marcus was wobbling. Only the ropes stopped his fall. It was the first sign that this night would not end well. It was January 31, 2015, and Marcus was in Chongqing, China. He was fighting Fang Bian, a Chinese fighter who had yet to make any significant waves outside of his homeland. That left hand was just a prelude of things to come. The punch dropped Marcus momentarily in the closing seconds of the first round. The second stanza would be far worse for a man considered to be among the world’s best. First came a right hand that dropped Marcus. He waited for the count and returned to his feet. Only seconds later, Bian connected with a left that staggered Marcus. A combination soon followed, sending Marcus back to the canvas. Another count, and Marcus was back up. Bian swarmed him with punches and landed another left that put Marcus on the floor one final time. The Canadian had suffered a TKO loss, only the second defeat of his lengthy career. Usually, Marcus is in his best form. 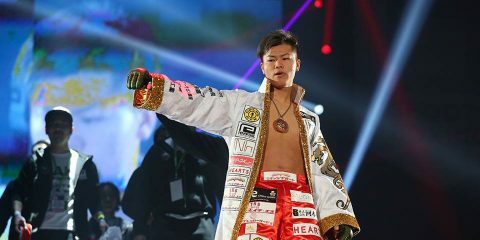 The Bian fight is a rare blemish on the veteran’s 43-fight record. It came in a stretch where Marcus lost two out of three. 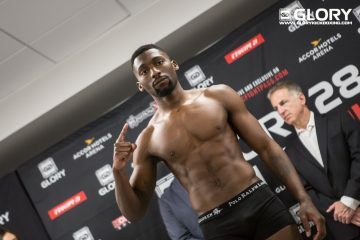 His first defeat came roughly six months earlier at GLORY 17, where he was knocked out by longtime rival Joe Schilling. Marcus already held two wins over Schilling, and the defeat really stung. Winning is an experience with which Marcus is much more familiar. He turned pro in 2009 and started fighting professionally in 2010, raking in victory after victory, including several big knockouts, en route to a 15-0 start before clashing with Russian star Artem Levin for the inaugural Lion Fight light heavyweight championship at Lion Fight 9 in 2013. Marcus performed well against Levin. He claimed the unanimous nod from the judges and took the belt. 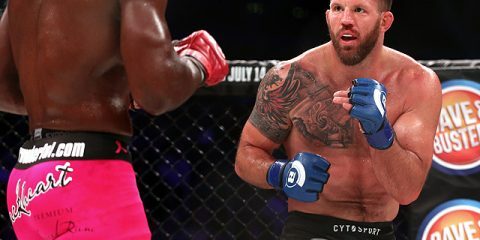 He continued to roll through the competition, picking up seven more wins and fighting to a draw with Chidi Njokuani before suffering the loss to Schilling. After another win and the subsequent loss to Bian, Marcus gathered himself and set his sights on another belt: the GLORY middleweight championship. First, he had to make it through GLORY’s Middleweight Contender Tournament, which took place at GLORY 20 in Dubai. 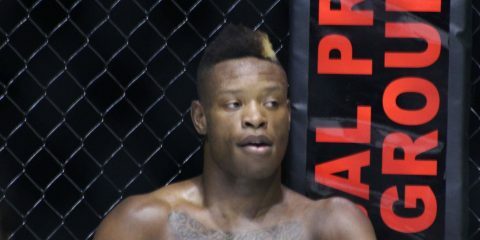 Marcus notched decision wins over Wayne Barrett and Jason Wilnis at the event to earn his shot at Levin and the title. It was close, though, with the Wilnis fight dividing the judges. “I felt that I won every round convincingly and was surprised it was a split decision,” Marcus admitted. “Either way, I won the fight and my focus turned to the fight ahead. With the tournament out of the way, Marcus is now set to meet his Russian counterpart at GLORY 21 in San Diego. The two elite middleweights collide in one of the featured matches at the event, which takes place on May 8 and airs on Spike TV. It has been more than two years since the pair met in the ring. A lot can change in two years. Marcus has more than doubled his fight total in that time, gaining extensive experience and learning how to deal with adversity. Levin, meanwhile, has added another 12 wins and one loss to a resume that now contains 91 kickboxing fights. 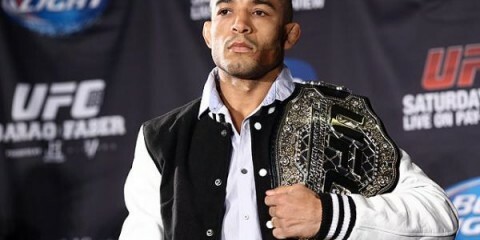 “I have grown a lot as a person and a fighter, and this time I will defeat Artem by a larger margin,” Marcus vowed. 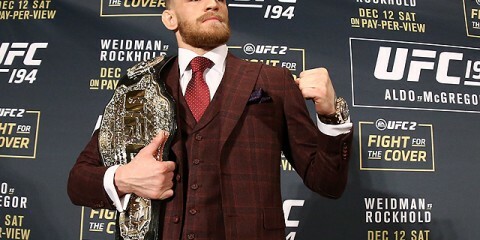 “Everyone will see I am the best fighter in the world, and when I’m at my best, no one can test. Sometimes, losing makes a fighter stronger. It leaves a bad taste in the fighter’s mouth, and the fighter never wants to experience that taste again. This is where Marcus is now. He went through a rough patch and learned from it. Then, he started his march back toward the top. Now, his goal is to add to his trophy case.